60 of you entered the Blogger of The Month Contest. And wow, the standard was high. The "rule" was that you needed to have less than 500 followers when you entered. Looking through the blogs was amazing and humbling - there is some terrific talent out there. 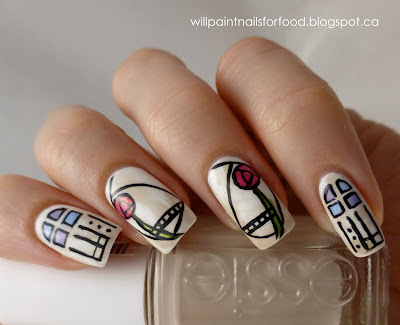 A blog I've been aware of for some time is Nail Wish - indeed, you may remember Helena doing a Guest Post for me last year. 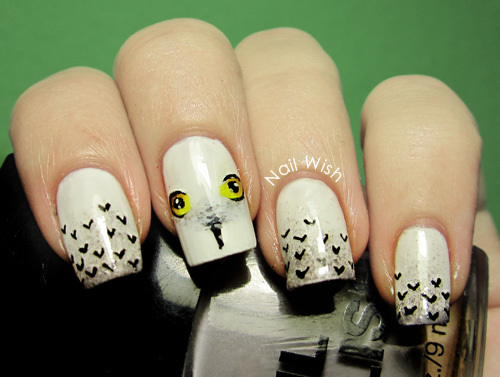 She's a superior nail artist as this Hedwig mani shows. 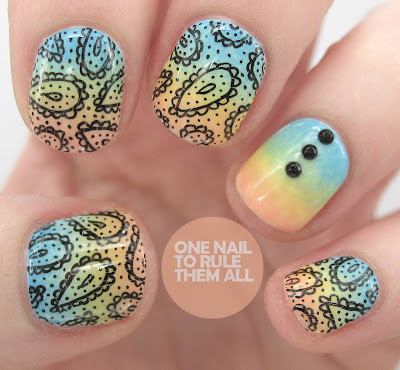 - but I also love this - her DIY Spotted mani. 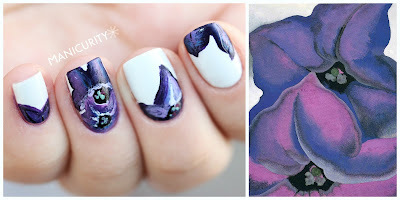 And my dear friend Emma from Manicurity, who always surprises me with what she does with a polish, and who created this amazing Georgia O'Keefe homage. 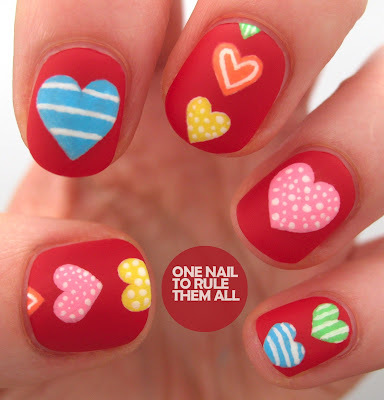 And the winner is .... Alice from One Nail To Rule Them All. I seriously don't understand how this blog has so few followers. It is stunning. 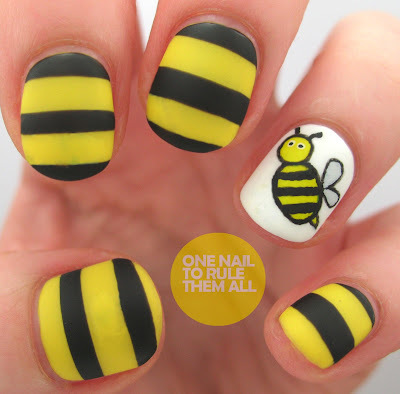 The nail art is always clean, crisp and precise, and full of happy. 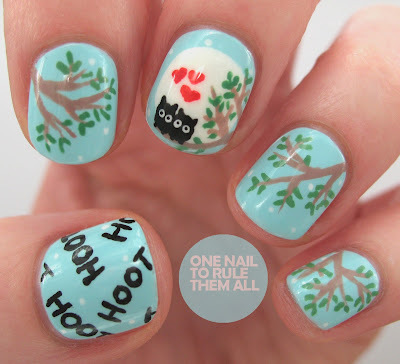 I always smile when I visit this blog, so I'm going to show you a few of her other manis. Finally - all the blogs were great, so if you're looking for some new reads, why not check out the original post here and see who takes YOUR fancy.